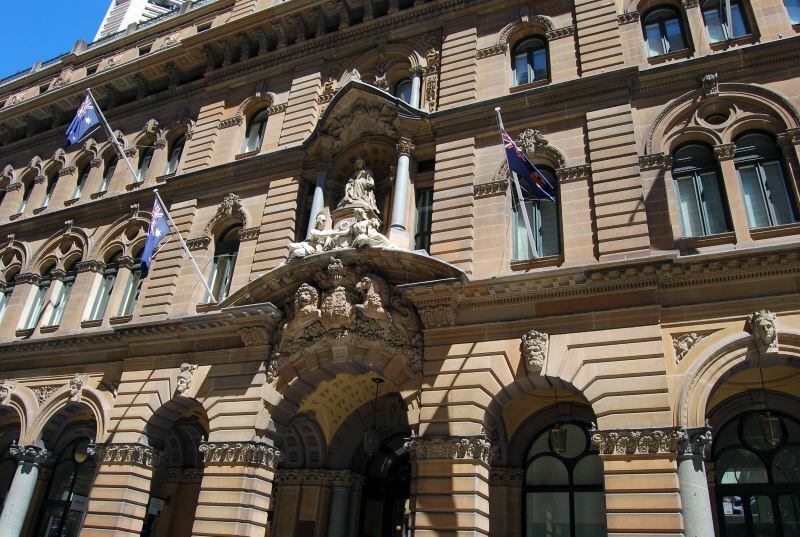 Sandstone, particularly the durable yellow sandstone that many of Sydney’s important government and major private buildings were built with, is called Hawkesbury Sandstone. Used extensively in the town’s main buildings from the late 18th to the end of the 19th century, it is a feature found in all Australia’s state capitals, from Brisbane to Adelaide. The sands were laid down during the formation of the Sydney Basin, most of it during the Triassic Period. Again, much of the sands came from much older deposits at Broken Hill, brought here by the Hawkesbury River over the millenia, up to a depth of two hundred metres thick. Where greater Sydney is now, and extending far out to sea, are the basin’s sand deposits. Further west, this has been pushed up by tectonic movements, forming the Blue Mountains. This is why you can find sands and even seashells at the top of these mountains, part of the Great Australia Divide. This stone is still being produced today. Being used to maintain and upgrade existing buildings, even now, it is being used to build new buildings, including quality homes. When the First Fleet arrived, most of the first places to be built to house the convicts were just mud and sticks. However, the sandstone found on the hills backing the west side of Circular Quay (Sydney Cove) was found to be suitable for building, so many of the first buildings there and nearby were built from this. When bricks were begun to made from suitable clay, that was used also, but sandstone remained an important construction material, sourced locally. We built this city from rock and stone - sandstone in particular, especially after the gold rushes of the 1850s. This growing collection of Sydney pictures feature some of our many beaches, including Bondi Beach and Manly Beach. The Sydney region has been under the ocean many times throughout the eons, leaving a legacy of sandstone layers of beaches past, over millions of years. These sandstone layers can be found from our beaches to the Blue Mountains and form the headlands, adding to their beauty.